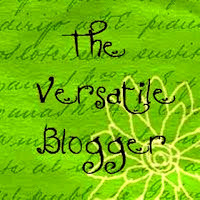 I was nominated for The Versatile Blogger award by Discovering Natural and Beautinwisdom. It's always so hard for me to nominate fellow bloggers/blogs because I don't want to leave anyone out. But..here I go. This list does not consist of only hair or beauty blogs, just those I enjoy reading on my blogger feed. Now it's time for the fun part..not that listing my fav blogs wasn't fun..hehe. I'm addicted to jewelry, especially earrings. I have a friend that I have known since I was born. My father is really good friends with her parents so we've been friends since day 1. I started doing hair when I was 12 and made quite a good living off it. I'm really shy and it's hard for me to welcome new people into my life. I do not plan on working in Corporate America forever. I grew up in the Suburbs and went to primarily Christian or Private schools. Congratulations on your nomination! I really enjoy your blog, keep up the great work and thank you for sharing all of this priceless information!